I posted before about Pickle’s obsession with twenty one pilots. Lately he has found a new band to listen to. It started with a commercial that played the song, then Chris would play it on YouTube for him. This song in particular annoyed me at first. I think it was because it was on repeat on that commercial. A couple of weeks ago Chris bought the CD for the van. Now it is starting to grow on me. Today it is the song that is stuck in my head. 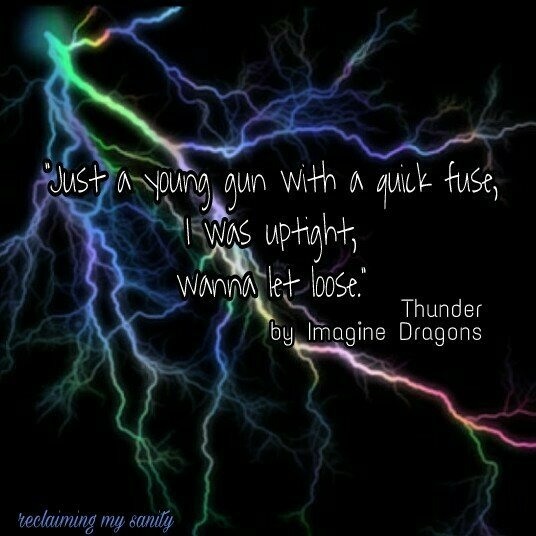 Thunder by Imagine Dragons.